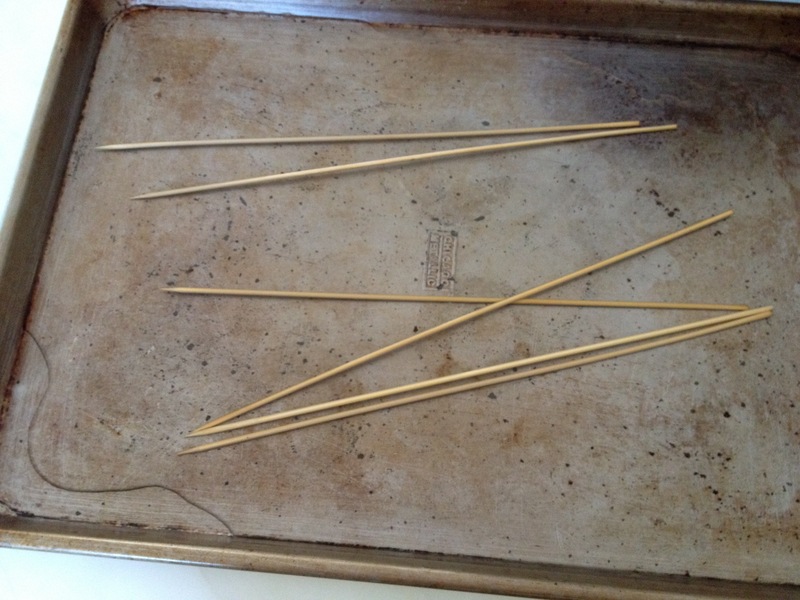 Soak the bamboo skewers in water to prevent them from turning to charcoal on the grill. 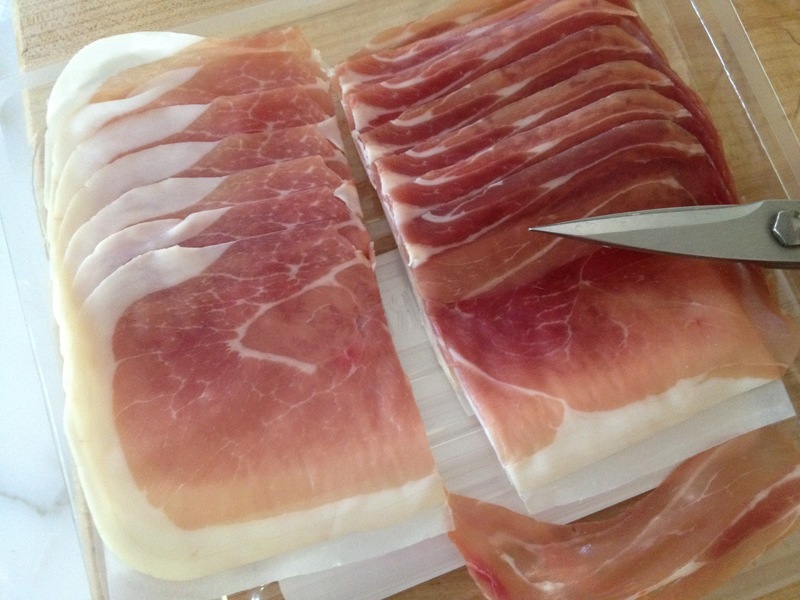 Arrange the ½ slices prosciutto out on a work surface. 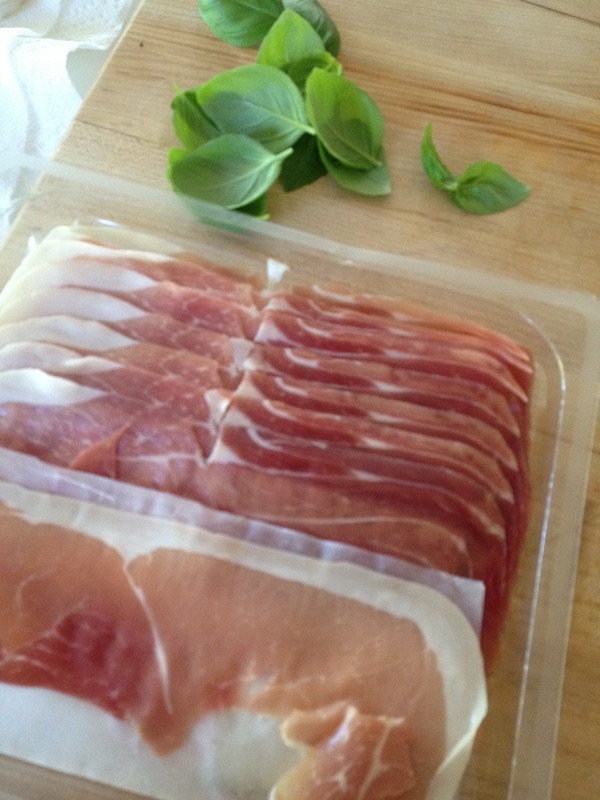 Place a basil leaf at the short end of each slice. 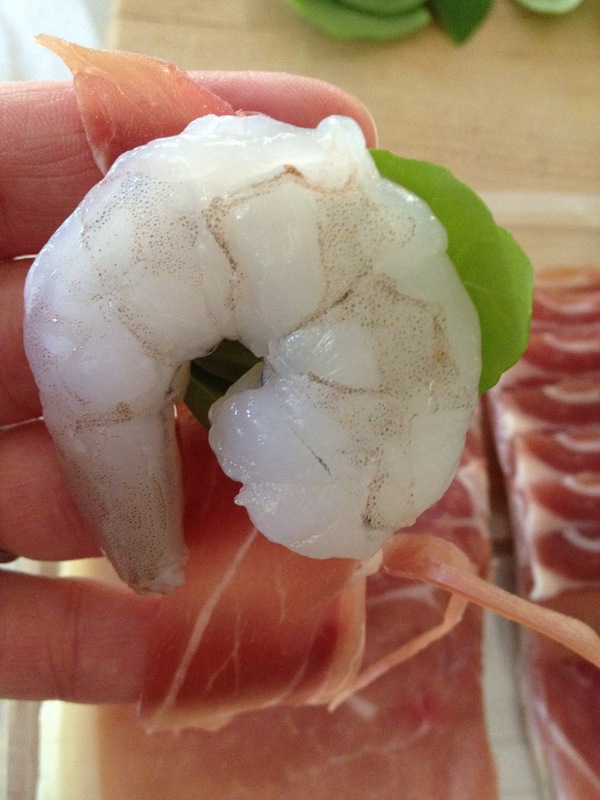 Place a shrimp on top of the basil leaf and roll up tightly like a sleeping bag. (Or just hold in your hand and wrap like I usually do.) 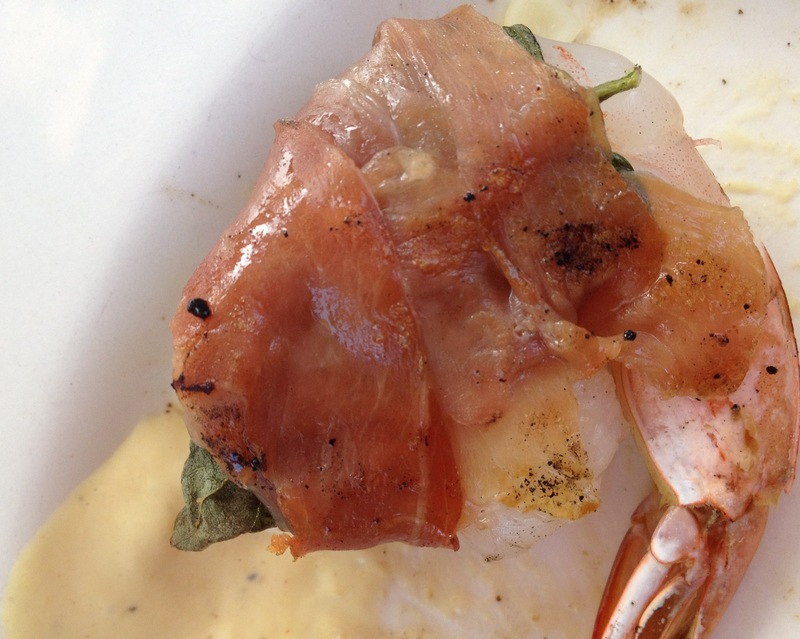 The prosciutto should be stretchy and slightly sticky, helping the shrimp bundle stay wrapped. 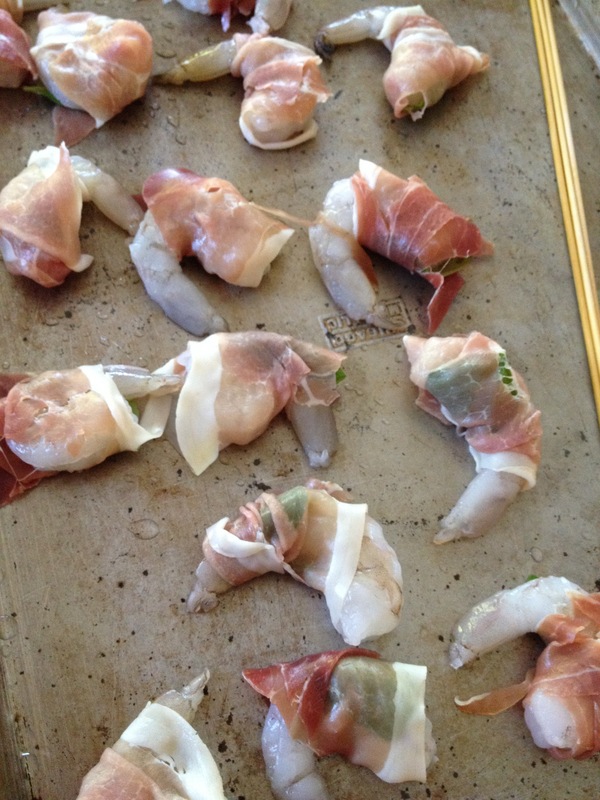 Set onto a platter or baking sheet and repeat until all shrimp are wrapped. 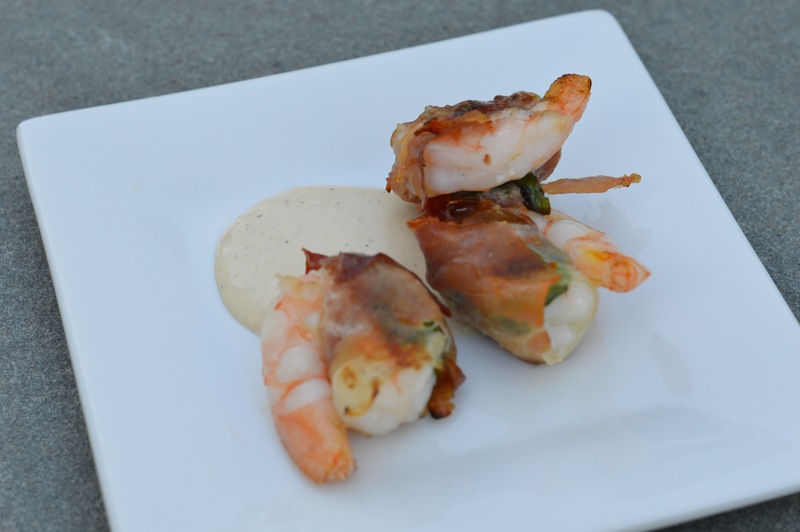 The shrimp bundles don’t have to be perfectly wrapped. Thread 3 shrimp onto each skewer. 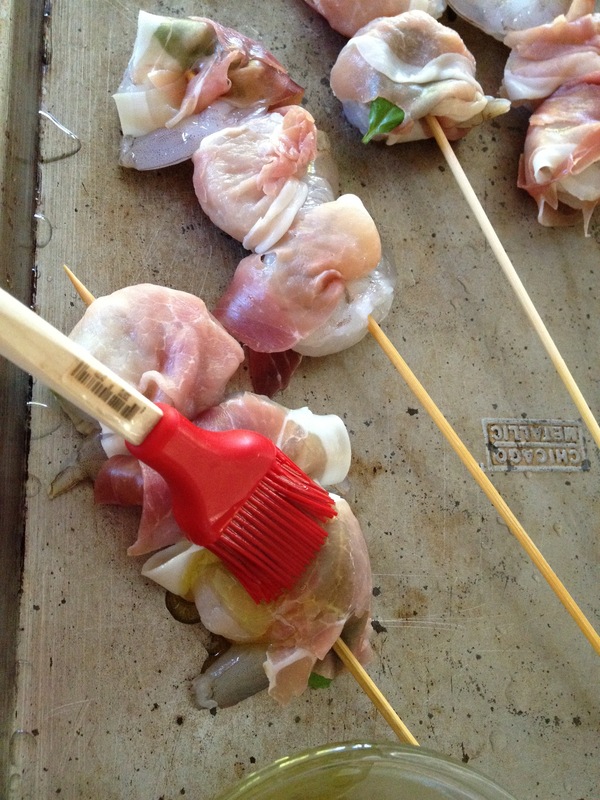 Brush both sides of the skewers with olive oil. Cover tightly with plastic wrap and refrigerate until ready to grill. 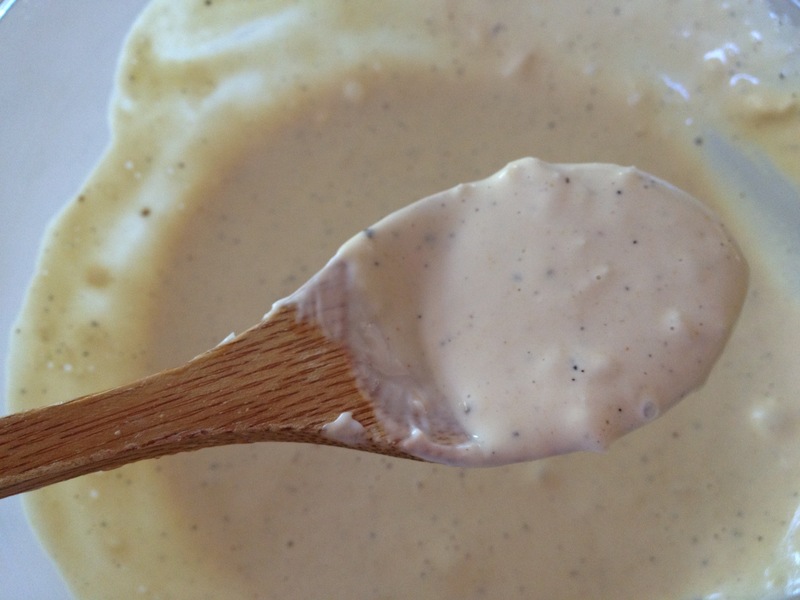 For the sauce, combine all ingredients in a small bowl and mix until smooth. Cover and refrigerate. The only small lumps should be bits of garlic. Heat grill to medium-high. 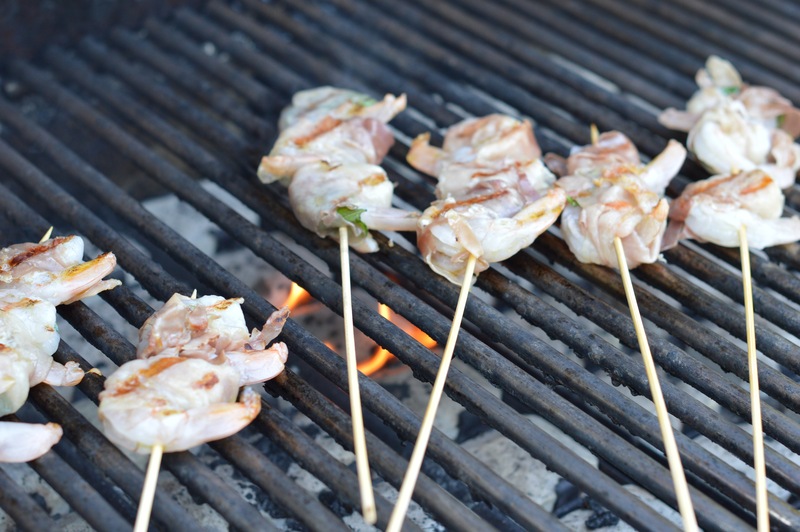 Grill shrimp skewers about 5-7 minutes, turning frequently, until the prosciutto has crisped and the shrimp are pink and opaque. 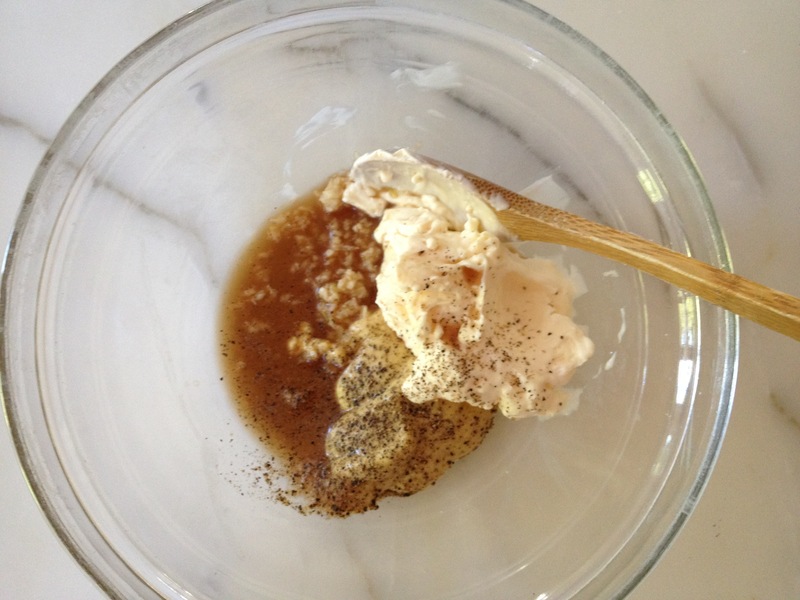 Transfer to a platter and serve with dipping sauce, or serve on individual plates with a small spoonful of sauce. 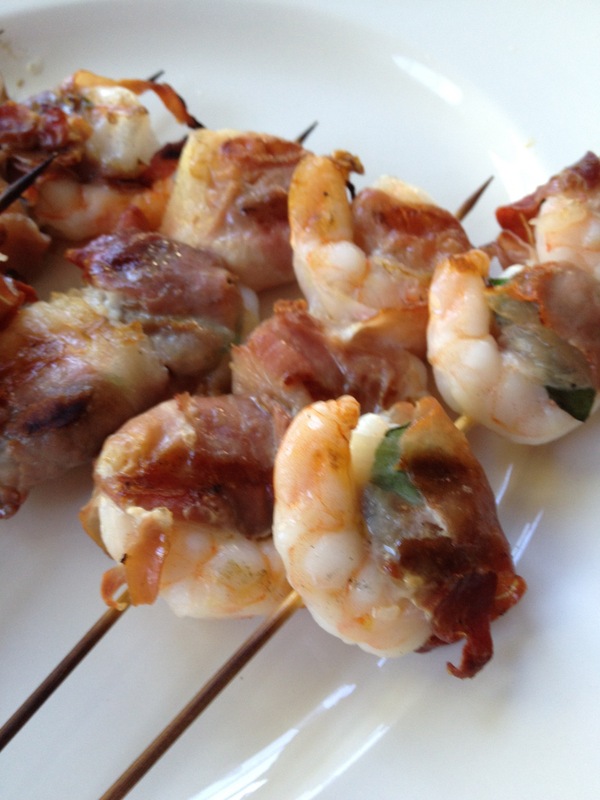 This entry was posted in Appetizers, On the Grill, Seafood and tagged appetizers, basil, BBQ, entertaining, outdoor cooking, prosciutto, shrimp by subeeskitchen. Bookmark the permalink.